Improve the service and repair experience associated with Workshop interactions using our technician app, including video integration and technician time management. Integrated video processes provide your customers with a high quality experience, such as a 360° tour of a used vehicle in stock, or visually identifying work required following a VHC. Provide a modern and convenient customer experience with Pinewood's fully integrated, PCI-DSS P2PE accredited card payment app, available for iOS, Windows and Android devices. The smarter way to manage and sell your vehicle stock. Respond to enquiries with personalised videos, instantly update stock information and store vehicle documentation for later reference. 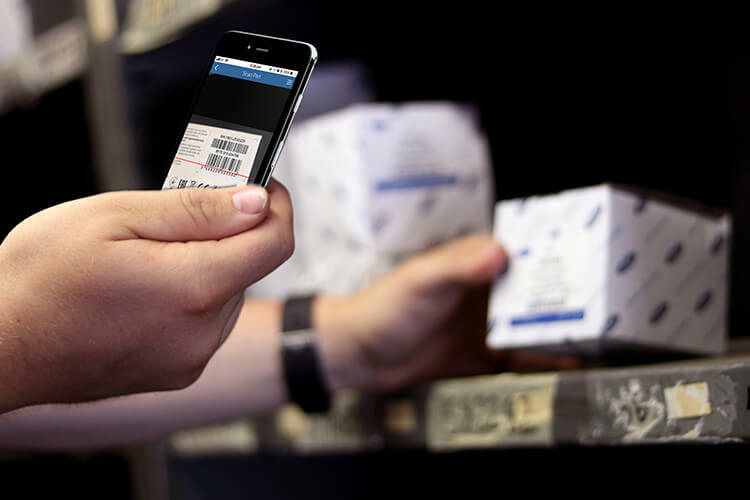 Issue parts in your dealership whilst on-the-move, saving time and hassle with our in-built barcode scanner. Streamline your parts team, improving efficiency.